PPM Testing offers comprehensive transformer fluid testing to the electrical utility industry. 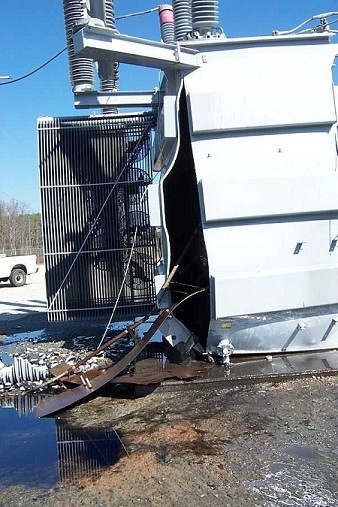 Our experienced personnel, utilizing new and state of the art equipment, provide a broad range of fluid tests and diagnostic interpretation to maintain and extend the life of your transformers and other electrical equipment. Our PCB Analytical testing can assure you that your equipment is in compliance with federal and state environmental regulations. PPM Testing can provide onsite services to sample your electrical equipment and deliver the samples to our laboratory to accommodate your sampling requirements. Your test data is stored on our database, referenced by serial number or your equipment number, with historical data. This enables us to perform trend analysis on your transformer test data spotting trouble before it becomes an expensive problem. PPM Testing can help you interpret your analytical data and make recommendations for preventative maintenance decisions on your equipment. Your data can be electronically reported in PDF or a spreadsheet format that meets your data storage needs. Do You Know What's In Your Transformer Oil?